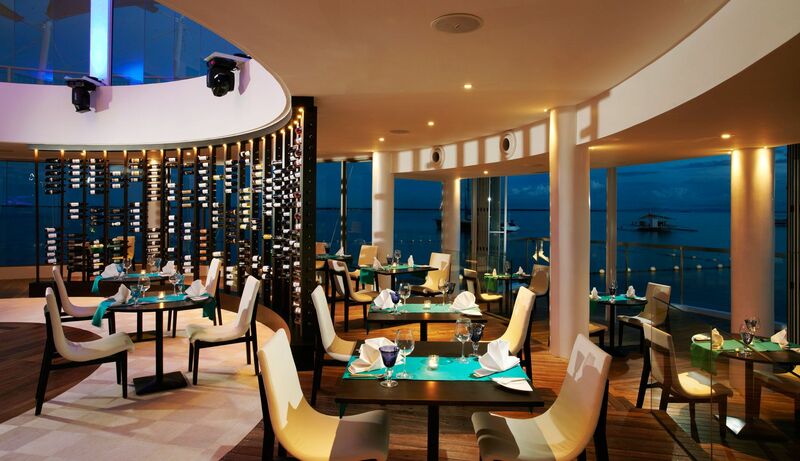 Stir up your island adventure at Ibiza in Mövenpick Hotel Mactan Island Cebu. The fun begins with Happy Hour at sundown, as you take a dip in the Jacuzzi or lie on the net pods amidst party beats. Ibiza Beach Club offers a great variety of cocktail drinks, wines, plus local, international and premium liquors. The Ibiza Sour and frosé are two of its many popular drinks, inspired by the tropical vibe. Come dinner time, you’re in for a treat with its wide selection of food and drinks. Ibiza Beach Club also is widely known for its nightly themed shows featuring Cebu’s own talents, performing to different beats and rhythms --- indulging its audience with a one-of-a-kind theatrical experience. These shows make a good company to your dinner experience, with live performances that’ll make you feel like cruising and grooving with every beat and bite. For guests who crave for something to go with their drinks, there is a variety of comfort food, light bites and filling eats to choose from. The a la carte and Tapas menus feature house-prepared charcuterie, Bruschettas, Jamon Serrano, Gambas, imported cheeses, a selection of salads and starters, the Eivissa Paella, Seafood Marinara, premium steaks, the Manny O. Signature Wagyu Burger and more. If you’re up for a unique culinary experience, Ibiza’s Balearic-inspired signature 15-course grill is definitely a feast you’ll enjoy. This delectable specialty predominantly features meat and seafood basted with Balearic sauces and marinades, with a twist of Asian sensibilities from the restaurant’s original secret flavouring. The servings are generous and vast – Filet Mignon, Angus Rib-Eye Steak, Baby Back Ribs, Ostrich Meat, New Zealand Lamb, buttery Rock Lobsters or Salmon, Tiger Prawns, Cuttlefish, Chicken, Crispy Pork Belly and Beef Short Ribs, to name a few. This menu is so indulgent, it’s sure to last an entire evening of hearty dining. For reservations and inquiries, email ibizabeachclub.cebu@movenpick.com or call +63 32 492 7777. For updates on special offers and events, follow @movenpickcebu and @ibizacebu on Facebook, Instagram and Twitter.